If you haven’t had a Homemade Canning Salsa Recipe, then you haven’t lived. There are so many different types of salsas out there, with so many different flavours. In my experience, the tomato salsa sold here in Australian grocery stores is very….ordinary. There are only a 2-3 brands with the exact same flavour, it’s like they came from the same factory and were just labeled differently. The Mexican influence that impacts North American foods doesn’t have the same reach to the Australian market (we’re very far away). Culturally the Aussies do things very different for most things. For instance, canning or preserving foods here isn’t as huge of a thing as it is compared to a colder climate country. Fresh fruit and vegetables grow year round in Australia, therefore canning, as a necessity, wasn’t necessary. 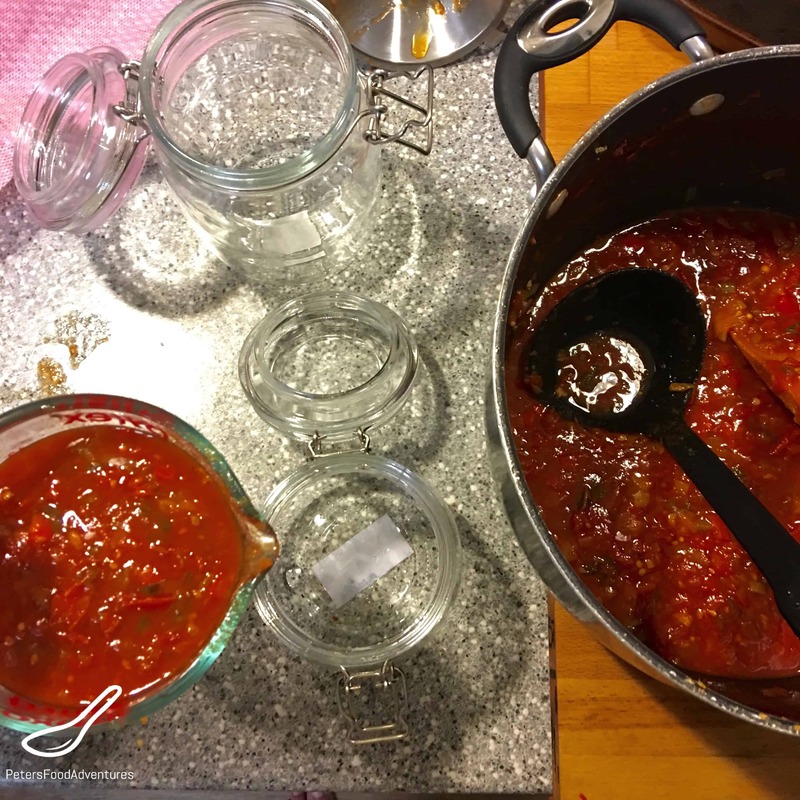 However there is a whole wide world of flavours that you can only get from canning, fermenting and preserving your own food, which is not only delicious but healthy too. Recently there has been a resurgency in popularity of preserving food, driven by Pinterest and the hipsters, in my humble opinion, but the popularity hasn’t brought down the prices of mason jars. They are $6 each at Woolworths (our major grocer), which gives me a heart attack, and with online stores they cost even more when I add shipping. Anyways, enough about all that, this Homemade Canning Salsa Recipe was given to me when I was a teenager by my friend’s mum, Monika. I couldn’t eat enough of this recipe. I’ve made a few minor modifications, but it’s mostly true to the original. Don’t worry, keep the seeds in the Jalapenos, its really not spicy, honest. And Banana Peppers are sometimes hard to find, so I used a mild Hungarian Paprika pepper. My teaspoon measurements are all “generous” and a little heaped, so don’t be shy in such a large batch. If you like it a really spicy, then add 1 teaspoon of cayenne pepper powder. I have so many tomatoes growing in the garden -“tomato-geddon”- that I used 10 cups of chopped tomatoes and the recipe worked great. Stay tuned for more tomato recipes coming your way. 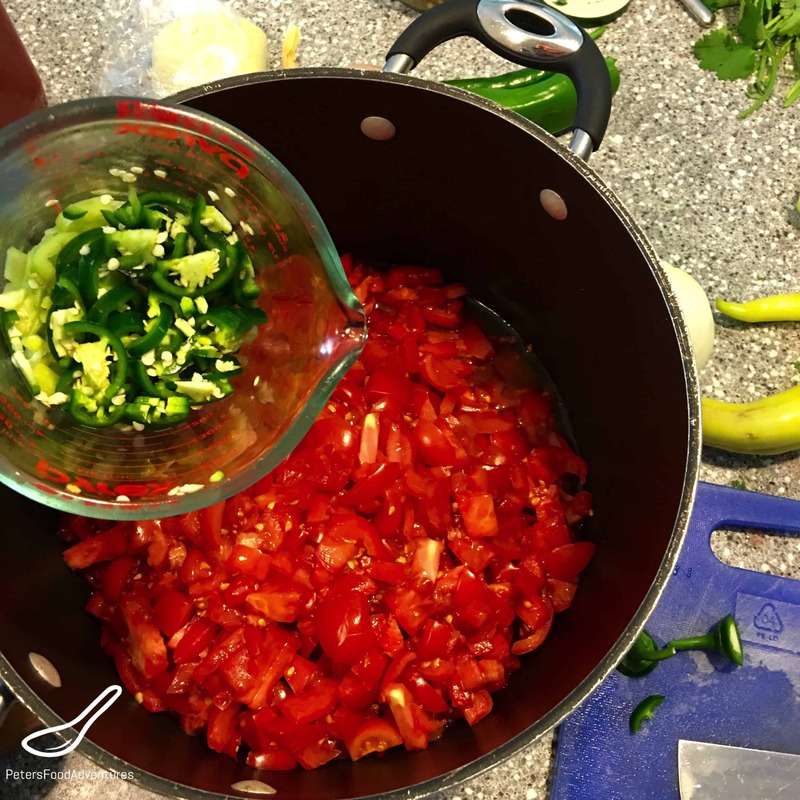 This Homemade Canning Salsa Recipe is delicious and a great way to preserve your salsa. Seriously, who can eat 11 cups of tomato salsa at once? Bon Appetit! Приятного аппетита! In a large non-aluminums stock pot, combine all the ingredients except the cilantro. Over medium-high heat, bring to a boil then reduce to simmer for about 1.5-2 hours. Add the cilantro and cook for 5 minutes. Prepare sterilised jars for canning as per instructions, or eat fast and keep refrigerated. Serve with nacho chips. Enjoy! Love it! 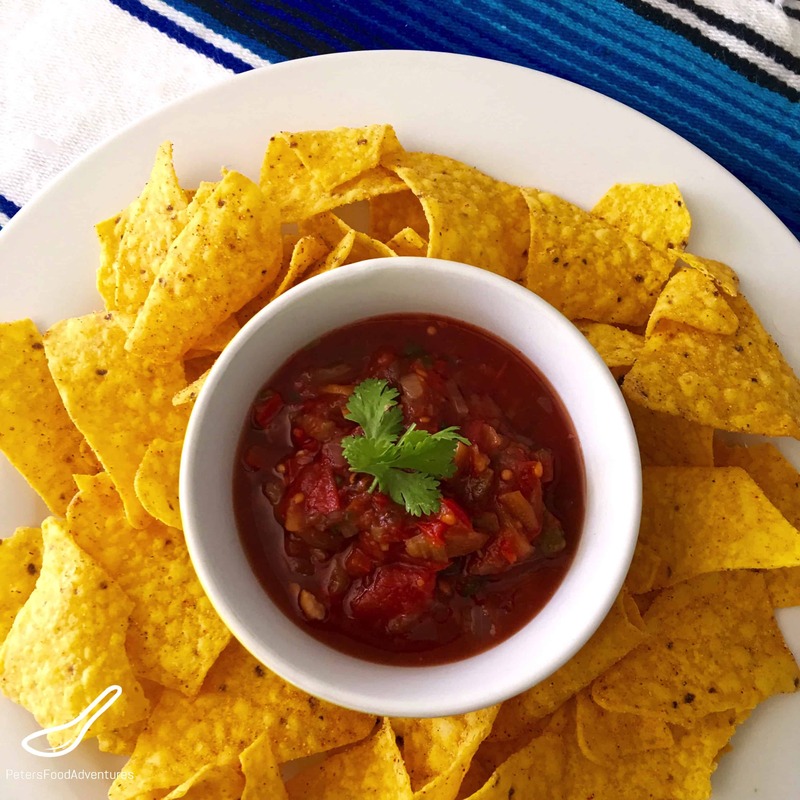 Homemade salsa is definitely delicious and it’s great to cater it to your tastes. Or to what’s growing in the garden. Last summer I didn’t have enough tomatoes to can since I ate them all fresh or froze sauce for pasta. Maybe this sowing summer I’ll be able to can some salsa. Jars are everywhere you turn here in the states and prices are pretty good. Mother don’t get me started on all the accessories, I might have just bought a few new ones! A healthy element for the holiday season! Love it. Never heard of banana pepper though. How hot are they? Not hot at all! That’s why I recommend to keep the seeds in the jalapeños, which still makes it a mild salsa in spice. Also could be called a yellow wax pepper. ???? The original recipe used Anaheim Peppers, but we don’t have those here, well I found them once at a garden nursery last year, but not commercially sold. We don’t have such varieties here in Pakistan.